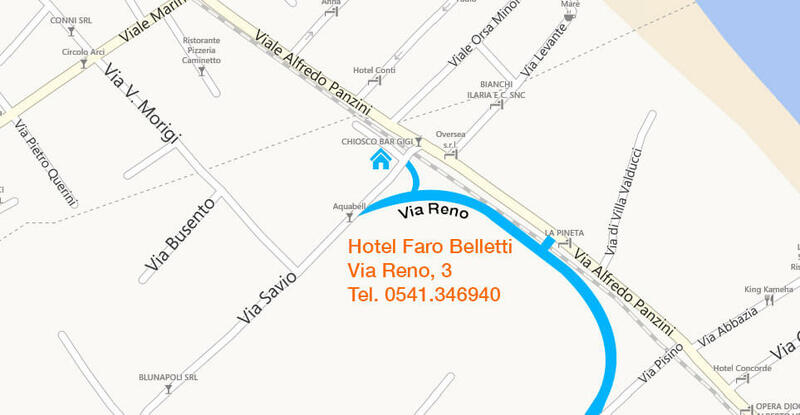 The Faro Hotel is located in Via Reno number 3, 47814 Bellaria-Igea Marina, Rimini, Italy; in a peaceful area and just 50 meters from the sea. Do you want to know if there are any free rooms for your holiday? Call us at +39 0541346940 or fill in the request form.